Creamy, dreamy, Jamaican summer fun dessert. Erm. OK. I remind myself on a constant basis that just because BL doesn’t share my affinity for all things coconut and curry, doesn’t mean we aren’t MFEO: made for each other. 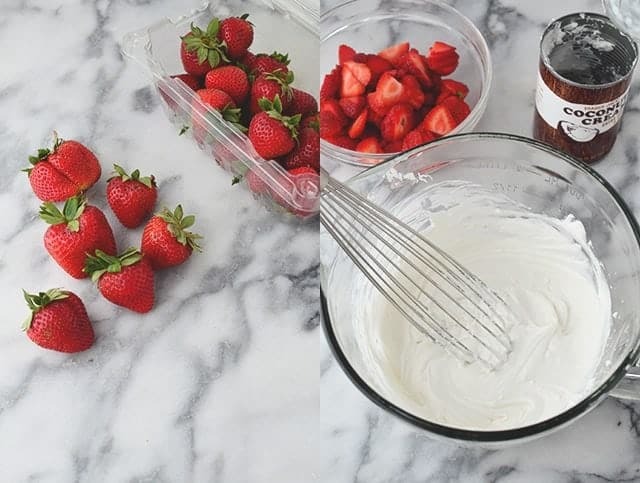 Back to removing the hardened coconut milk from the can and whipping it into dairy-free cream; add a smidge of vanilla and sugar to create the perfect, fluffy topping that just begs to be paired with ripe berries. And, like all good food-blogger husbands, he eventually gave in because he knows it’s easier to just take a bite than plead with me. Sigh. That’s just the way it works around here. Should I have even been surprised that he loved it? That he agreed with me that while it still tasted like coconut it wasn’t too overpowering? 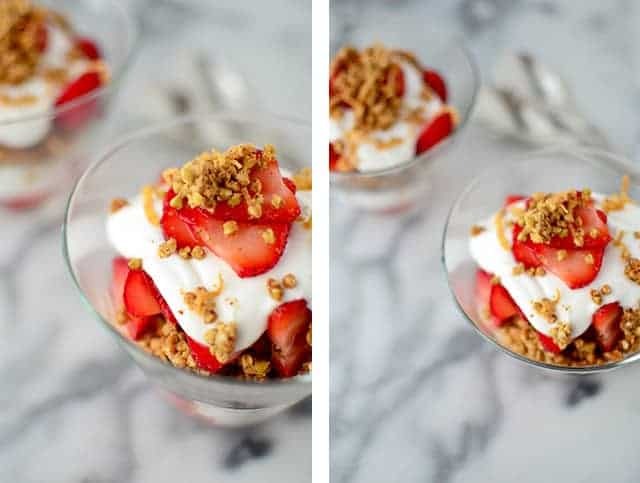 And yup, it was even better with crunchy groat granola clusters and strawberries. So now when he asks for this one, we refer to it as the creamy, dreamy, Jamaican summer fun dessert. 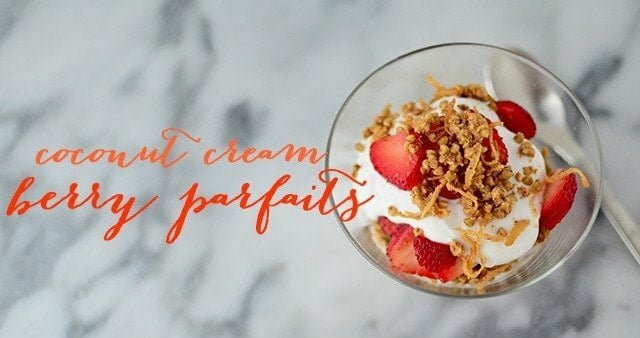 Sounds so much better than Coconut Berry Parfaits. 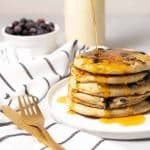 I love this recipe because it proves once again that it’s not too difficult to go dairy-free. And even though we still eat dairy, I know how much cleaner I feel when I reduce my intake. Coconut milk to the rescue. For this dairy-free hack, place a can of regular coconut milk in the fridge for a few hours- preferably overnight. Gently open the can and spoon out the top 1/3-1/2 of the can, the hardened milk before you get to the liquid. You can save the liquid for another recipe- how about vegetable korma? Or freeze for later. 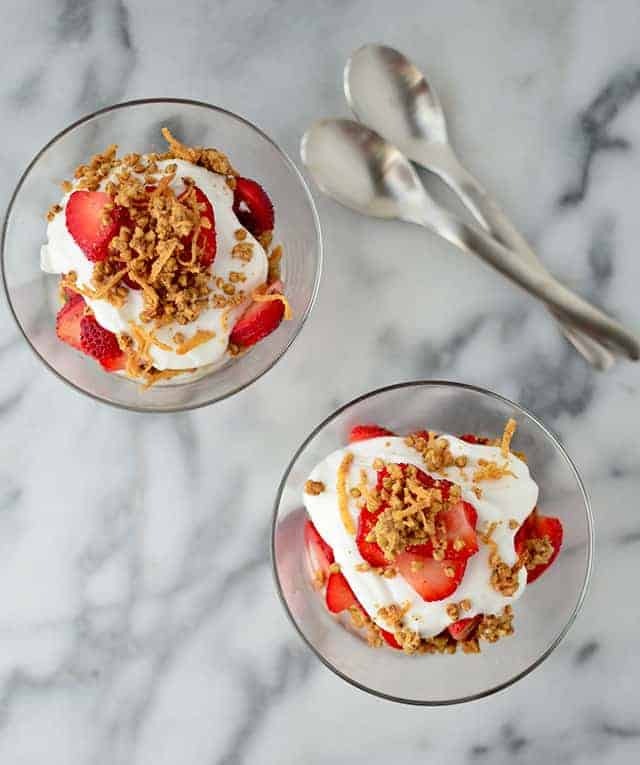 To assemble, layer with fresh sliced berries and cooled groat granola. Just like whipped cream, a little goes a long way. Start with a tbsp. or maybe two to start- you can always add more if you need! Before making, make sure your can of coconut has been placed in the fridge for at least 6 hours, preferably overnight. In a large bowl, mix together buckwheat groats, cinnamon and salt. Whisk together the maple syrup, coconut oil, almond butter and vanilla extract. Pour over the buckwheat mixture and stir together. On a baking sheet lined with parchment paper or a [url:2]silpat[/url], pour out the grouts. Baked for 25 minutes until golden brown. Remove from oven and let cool. Break into clusters and set aside. After opening the can, scoop out the top 1/2 of the solidified coconut on top. Make sure you are only getting the solid coconut, not the water underneath. If you are using coconut cream, you will use the whole can. 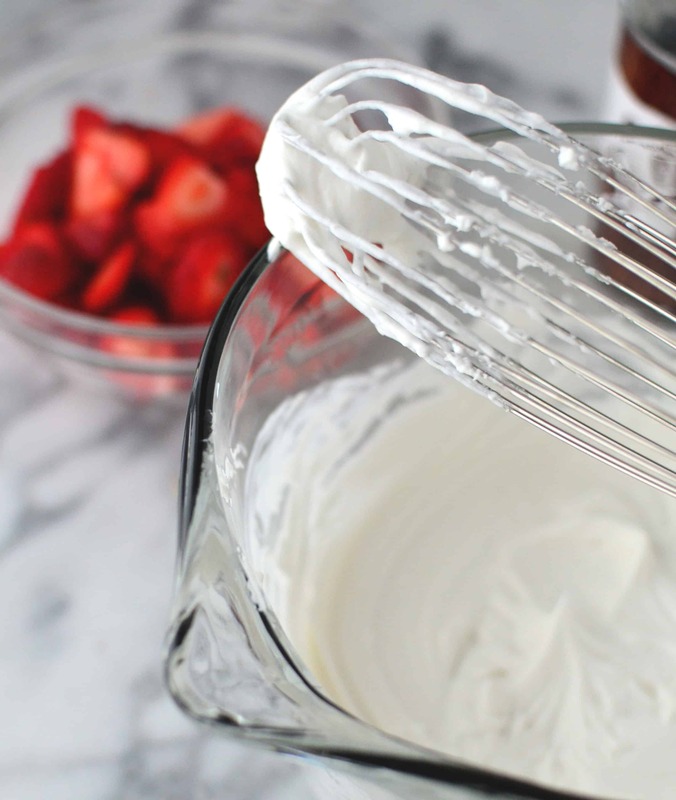 Add the sugar to the coconut cream and whip together with a hand mixer. To serve, layer the berries, coconut cream (about a tbsp. or two) and fresh berries. I seriously have never seen buckwheat groat clusters before… I had some buckwheat, soaked it to make raw buckwheat porridge and didn’t love it. I’ll have to get some more to try this! Try the toasted buckwheat! i’m not a fan of buckwheat porridge but I love the clusters lightly toasted- I put them on just about everything! 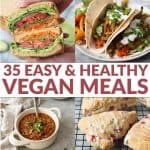 I hate when husbands don’t love some of our favorite foods (mine doesnt like asparagus or brussel sprouts)… coconut would be a tough compromise!! I’ve never had buckwheat groats… but it looks like crunchy toasted goodness, yum! You have to try toasted buckwheat groats! I LOVE them! I toast them and put them on just about everything: yogurt, cereal, oatmeal. So, so, good. Thanks so much for the comment Dana! Ohh i love coconut chia pudding!